My first full-length collection of poetry, Between Gods, was published in March 2012. 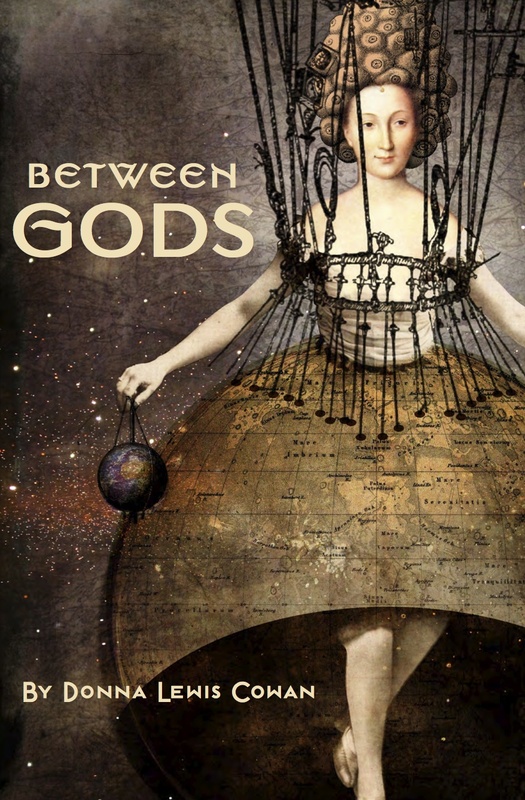 Between Gods was selected as a notable first book by Beltway Poetry Quarterly. Interviews about the book appear on the literary website Murder Your Darlings and The Examiner, and a book review by Cort Bledsoe was featured in the Coal Hill Review. Between Gods is now out of print, but I have a few copies left! You can order directly from me (for $14, including free U.S. shipping), via PayPal. I love your cover, Donna! Congratulations on your forthcoming book! Wonderful cover, Donna! All best wishes. Hope to meet you next year at AWP. I feel I’ve come to the party late, but congratulations! What a milestone. I wish you success. Daniel, you’re not late at all. Thanks, and glad you stopped by! I heard her read from the book at Iota. The images were crisp clear and striking. Often in a single line an image or thought would be born that would carry you through the entire piece. Listening to her read her poems was a gift. Thank you so much! It was great meeting and talking with you. I’ll be at Iota again next month, so maybe we can talk further then. Have a great week!